It's a rare sense of community found within a big city. "The Lakeshore is both diverse and tight-knit," says Angela. "And we have two great kids who learned a lot about the world before they even left home." Angela and Paul both grew up in downtown Toronto, and have been Lakeshore residents for more than 35 years. As their kids were growing up, they found many occasions to be happy that they chose to start their family here. The Lakeshore gave the Giraudys the perfect backdrop for teaching their kids about the ways of the world while still showing them that the people here are what make you feel at home. 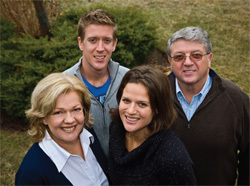 Being involved in local schools, in local politics, in Boy Scouts, in hockey, lacrosse and in many other aspects of Lakeshore life gave the whole family close connection to the area. And it's that sense of place that helps the Giraudys make others feel at home, too. Angela and Paul are the type of people others turn to as experts in Lakeshore living — not only because they live and work here, but because Angela and Paul are both seasoned real estate professionals who take great pride in working with their neighbours. Angela and Paul's teamwork comes naturally, even though on paper they may seem like opposites. While Angela is walking or cycling along the Waterfront Trail, she might wave to Paul enjoying an afternoon of sailing on the lake. But they both say it's their differences that make them such a great business team. With Paul's marketing savvy and Angela's analytical approach, this talented couple is the perfect combination for true service in real estate. They understand that a home is an investment as well as a place to call your own. Make the most of Lakeshore living. Call Angela and Paul before your next move and see what it means to truly feel "At Home by the Lake!" 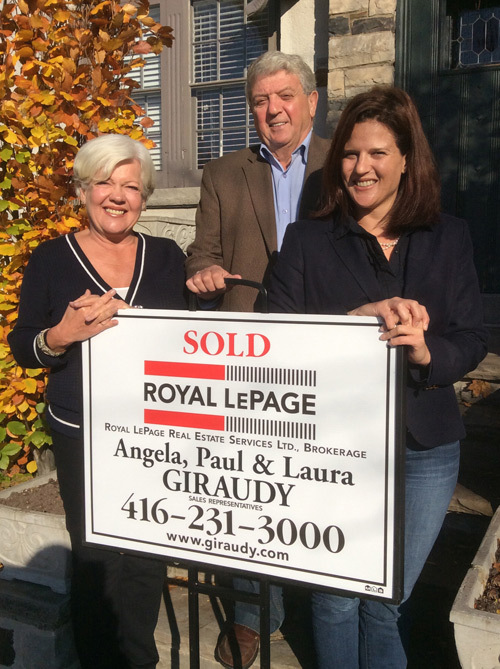 Angela, Paul & Laura Giraudy donate a portion of their earnings from the sale of each property to the Royal LePage Shelter Foundation. 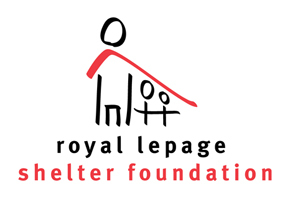 The Royal LePage Shelter Foundation is Canada’s largest public foundation dedicated exclusively to funding women's shelters and violence prevention and education programs. Thank you so much for all your help and expertise in selling our home in a week! The sales process was very well organized from our initial meeting through market analysis, staging and contractor recommendations to marketing, offer acceptance and closing. You are both very professional and caring and you took the time to get to know us and our son. We would not hesitate to recommend you to any of our family and friends!